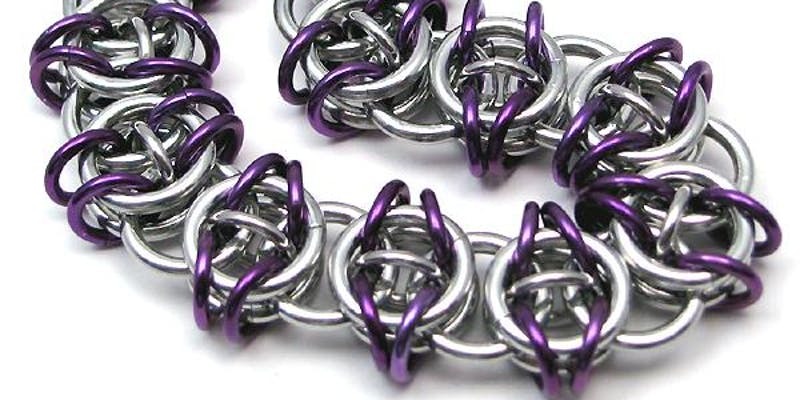 Learn this chainmaille weave that uses two different size rings. The Celtic Visions weave may look difficult, but it’s not and it is a fun weave to learn! This can be made into a bracelet or necklace but bracelets will be made in the class. Kits will have two colors of anodized aluminum rings. Great for beginners! Mardi Trout, instructor/Kit fee of $24 payable to instructor on day of class.